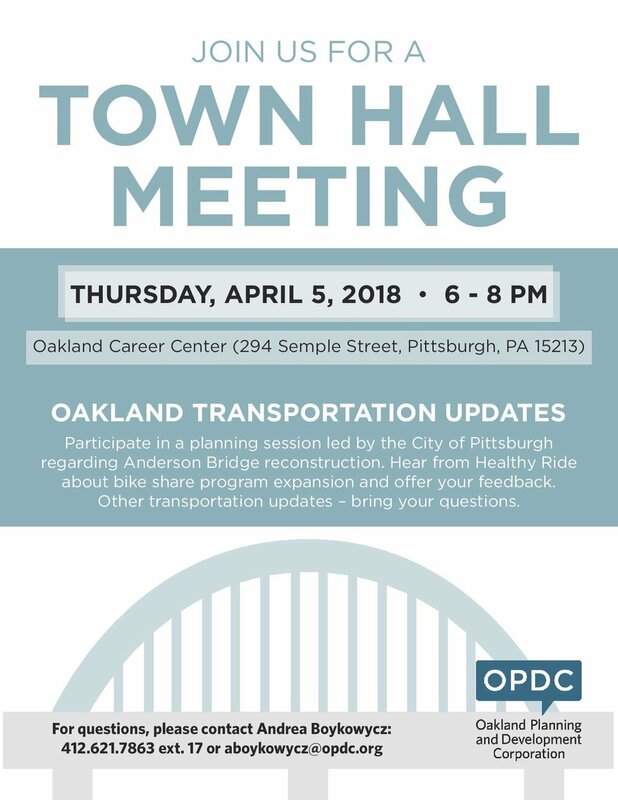 Join us for an Oakland town hall meeting on Thursday, April 5th! Participate in a planning session led by the City of Pittsburgh regarding Anderson Bridge reconstruction. Hear from Healthy Ride about bike share program expansion and offer your feedback. Other transportation updates - bring your questions. Older PostSave the date: Friday, June 8th!